Each year, Joseph Drouhin's wines are among the great successes of the Burgundy region. In this 2005 vintage, Joseph Drouhin once again surpassed himself by producing a Meursault en Luraule all in elegance and refinement. 100% Chardonnay, the Meursault en Luraule Joseph Drouhin 2005 is dressed in a magnificent intense yellow colour with golden highlights. In the nose as in the mouth, it knows how to remain discreet and thus requires a careful appreciation in order to take advantage of all its complexity. It is a wine with great acidity and unequalled elegance. 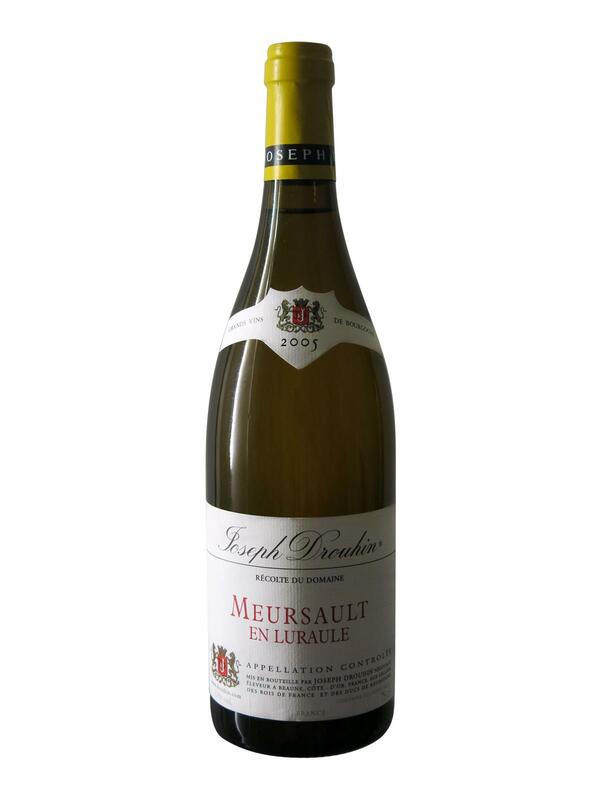 Once opened, Meursault en Luraule Joseph Drouhin 2005 reveals its charms, releasing flavours of apricots, apples, figs, vanilla and oak to finish with a finish dominated by warm apple pie flavours of remarkable length. Meursault en Luraule Joseph Drouhin 2005 will go very well with rich fish dishes, a mild cheese platter, or will simply appreciate itself during a tasting with friends.